After coming to India, I have slowed down, I am hardly posting twice in a week, is it due to more work here or because of the internet connection here, I don't know. Everytime I think, I should do better the next week, but end up doing the same, hopefully I'll be much more organised in the future. 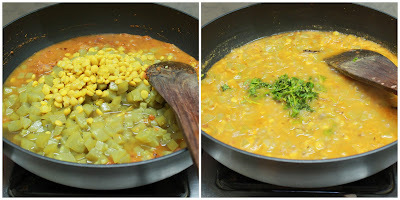 Well, today's dal is a very easy and tasty recipe which I had learnt from a Punjabi friend, in fact till sometime back, I had been using bottle gourd to make this dal only, never tried out even a sambar with it. I have used chana dal (skinned split black chickpeas) for making it, you can use the whole chickpeas, except that you have to soak it before cooking. 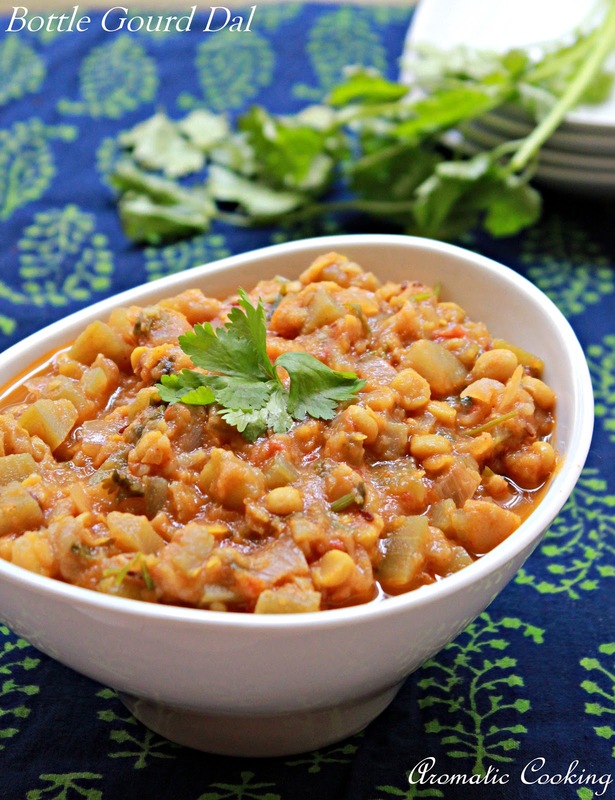 This goes well both with rotis and any kind of rice or pulav, a mild yet flavorful dal..
Pressure cook the chana dal and the bottle gourd along with the turmeric powder (just like you cook rice), grind the ingredients given under make a paste. Heat oil, add the cinnamon, cloves and the cumin seeds, when the cumin seeds start sizzling add the chopped onions, saute for a couple of minutes. 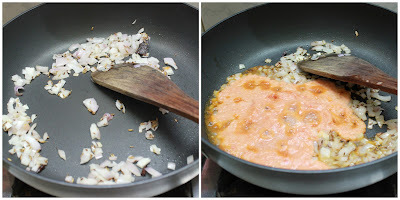 Then add the ground paste, followed by the chilli and coriander powders, saute well till the raw smell goes away for about 5 to 7 minutes (sprinkling water if the mixture turns too dry and sticks to the pan). Then add the cooked dal and vegetable, mix well, simmer for 5 minutes, mix in the garam masala and the chopped coriander leaves. Serve it warm with rotis or rice. 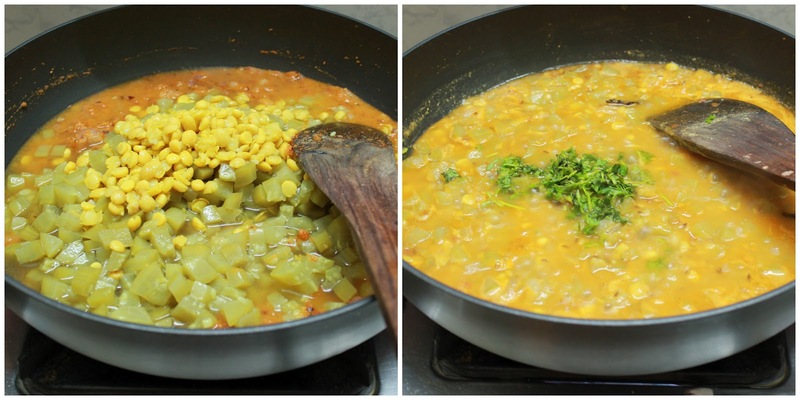 You can use a mixture of chana dal and moong dal. 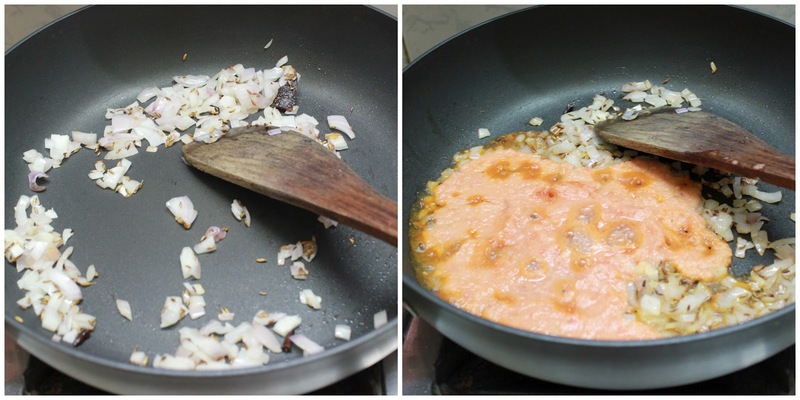 After adding the dal and vegetable, if it is too thick, mix in some water and boil. Lovely everyday dal gravy love it with chapatis. I really amazed to see peoples blogging from India, you guys are doing fantastic job, if i live in India i wont ever think about blogging, doesnt matter how many time you post in a week, love the dedication Hema.. SUper comforting dal, simply love to have with a bowl of rice. Hema,now u setteled in india?? Hope everything will be good!! Lauki in gram dal is an all time fav!!! Looks delicious!! Super click with such a varied veg dish..Cheers ! Delicious and healthy dal Hema, love it. Very nice side dish dear. Nice clicks. Hema this is one of my favourite dal combination with rice. It looks and sounds delcious. 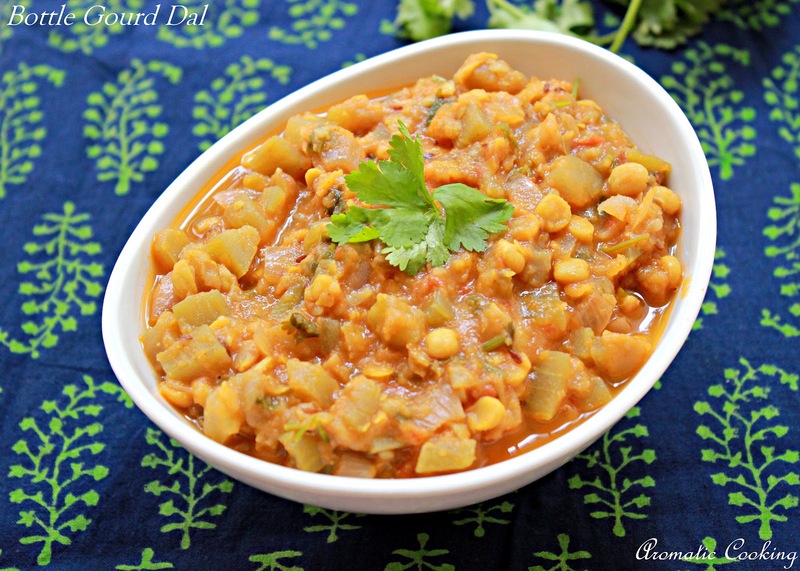 I too love this combo of channa dal and bottle gourd . Nice pic too. Delicious combo of dal and gourd.. Looks so yummy!! Perhaps you don't mind if I share your Bottle Gourd Dal recipe in our food network www.mycookbook.com , i believe this info will be valuable. Never made a dal out of bottle gourd, its sure healthy!